The crisis in the market that accounted for roughly 3 percent of Yum's 2017 global system sales comes as a business turnaround at the fried chicken chain was taking hold. 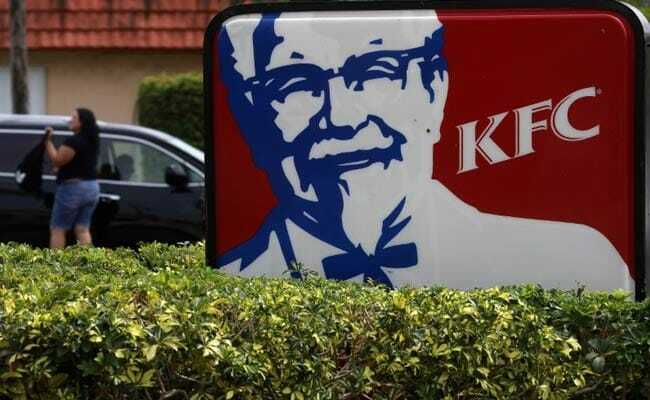 London/Los Angeles: Yum Brands Inc's KFC restaurants in the UK are serving limited menus at reopened restaurants after a chicken supply snafu with its new delivery firm, but now are suffering a gravy shortage. KFC, which has 900 restaurants in the UK and Ireland, switched its supplier contract from Bidvest Logistics to DHL on Feb. 14. Shortly after, KFC closed hundreds of restaurants in the region due to "teething" problems at DHL. A Yum spokesman said on Wednesday that 97 percent of the region's KFC restaurants are open, but are now experiencing gravy supply disruptions. The spokesman did not immediately comment on the financial impact and other aspects of the closures. "Due to the ongoing distribution challenges DHL is experiencing, some restaurants are continuing to serve a reduced menu," a spokesman said. "We're working as hard as we can to get this sorted out. We know that our gravy is a big favourite!" The chain has apologized to customers, running a newspaper ad showing a photo of a KFC chicken bucket with the logo letters rearranged to read "FCK." The accompanying text read: "WE'RE SORRY. A chicken restaurant without any chicken. It's not ideal ... Thank you for bearing with us." The police in Whitefield, Manchester, tweeted: "For those who contacted the Police about KFC being out of chicken ... please STOP. Their website says the Prestwich store is now open if you want to follow the four police cars through the drive thru." Elsewhere, thousands of Twitter users shared a fake video of two men in full KFC uniforms buying chicken at an Asda supermarket. In the video, when a man off-camera questions the pretend workers about the purchases, one responded: "Chicken is chicken, you know ... You're still getting KFC chicken at the end of the day." DHL and the GMB union, which publicly said it had warned KFC that a similar switch to DHL disrupted business at the Burger King hamburger chain, did not immediately respond to requests for comment.